The January 2019 product release delivers the highest-voted requests from SmartRecruiters customers in a quarter, earning it the title “Winter of Love”, as over 1,300 user votes are accounted for. 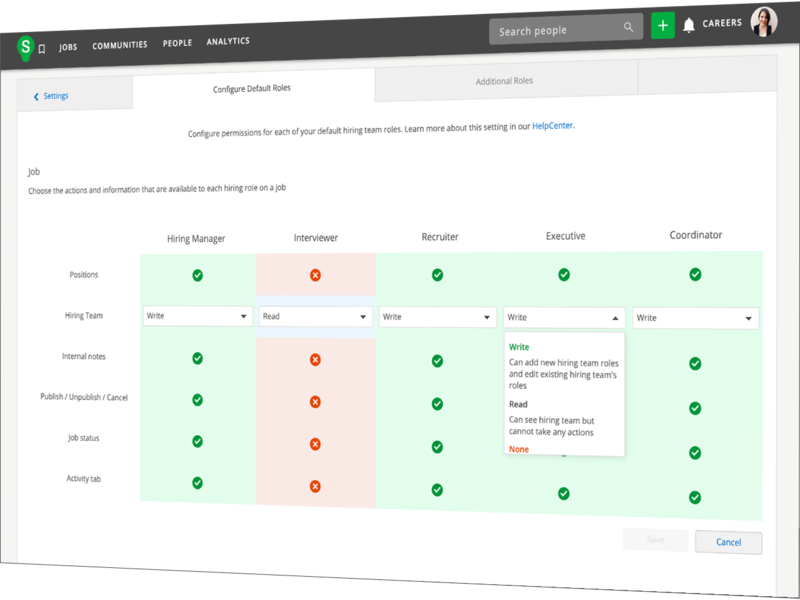 SmartRecruiters is rolling out multiple features and updates to our existing talent acquisition suite that improve workflow optimization, enterprise configurability, and sourcing effectiveness for hiring teams. The hallmark of a truly flexible talent acquisition platform is deep configuration. This release introduces greater customization of hiring team structures and user access levels, as well as candidate consent requests. As more companies invest in proactive recruiting strategies, robust sourcing and CRM tools are becoming must-haves for hiring teams. Following the launch of SmartCRM, SmartRecruiters incorporated early customer feedback into this quarter’s release by extending the module’s capabilities. Committed to ongoing innovation, SmartRecruiters regularly delivers useful updates to our product at no additional cost to our customers. These Delights & Enhancements aim to provide you with a platform that stays at the forefront of high performing talent acquisition needs. Screening Question Set Limits – Increased the limit of screening question sets from 100 to 200. Parsing Scanned or picture resumes – Added support for parsing .jpgs, .pngs, or any other supported image file as a CV for applications. SmartJobs Expansion – Programmatic advertising features expanded to Canada & the UK markets. Candidate API Paging – Improved performance for GET:/candidate endpoint using cursor paging. Hyperlinks in Job Ads – Support for URL/external links as a formatting option in the company description, job description, qualifications or additional information fields. Replicate SmartCRM Campaigns – Sourcers can replicate the content of a campaign with one click (SmartCRM required). or connect with your dedicated Hiring Success Manager to learn more!